Just in time for Art Miami and Art Basel, this unique New York City style apartment comes on the market. 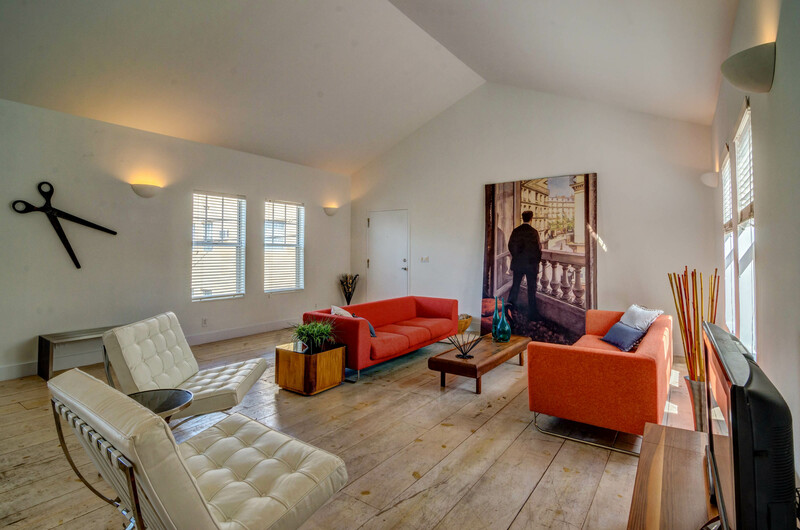 The light and bright unit features an open floor plan with plenty of wall space for art. 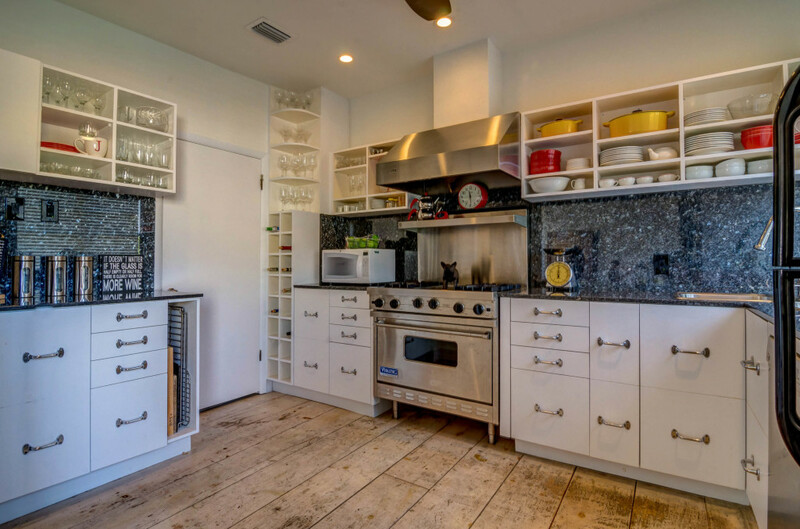 The kitchen features a Viking gas stove and a great layout for entertaining. Located in the heart of Miami Beach on tree-lined Meridian Avenue, you are walking distance to everything: beach, grocery stores, shops, parks, and restaurants. Hi, i think that i noticed you visited my weblog so i came to “go back the desire”.I am trying to find things to improve my web site!I assume its adequate to make use of a few of your ideas!! After exploring a handful of the articles on your web page, I really appreciate your way of blogging. This article posted at this website is truly good. Do you have a spam problem on this blog; I also am a blogger, and I was wanting to know your situation; we have created some nice procedures and we are looking to trade solutions with other folks, please shoot me an e-mail if interested. that i recommend him/her to go to see this weblog, Keep up the pleasant work. Admiring the commitment you put into your site and detailed information you present. It’s good to come across a blog every once in a while that isn’t the same out of date rehashed material. Fantastic read! I’ve saved your site and I’m including your RSS feeds to my Google account. in Yahoo I at last stumbled upon this website. needed. I most indisputably will make certain to do not forget this website and provides it a look regularly. It’s really a nice and useful piece of info. I am satisfied that you simply shared this helpful info with us. I’ve read some good stuff here. Definitely worth bookmarking for revisiting. I wonder how much effort you put to create such a excellent informative site. A person necessarily assist to make critically articles I’d state. Hello! Quick question that’s completely off topic. Do you know how to make your site mobile friendly? My website looks weird when viewing from my iphone 4. I’m trying to find a template or plugin that might be able to resolve this issue. If you have any suggestions, please share. Many thanks! you are truly a excellent webmaster. The website loading velocity is amazing. It kind of feels that you are doing any distinctive trick. In addition, The contents are masterwork. you’ve performed a magnificent process in this matter! I’m really loving the theme/design of your website. Do you ever run into any web browser compatibility issues? A small number of my blog visitors have complained about my blog not working correctly in Explorer but looks great in Firefox. Do you have any ideas to help fix this problem? this before. So nice to discover someone with a few unique thoughts on this topic. Simply want to say your article is as astounding. The clarity in your post is just great and i can assume you are an expert on this subject. Well with your permission allow me to grab your feed to keep up to date with forthcoming post. Thanks a million and please keep up the rewarding work. Hi! Quick question that’s totally off topic. Do you know how to make your site mobile friendly? My weblog looks weird when browsing from my iphone 4. I’m trying to find a template or plugin that might be able to resolve this issue. If you have any recommendations, please share. Thank you! I’m really inspired together with your writing abilities as well as with the layout for your blog. Is this a paid theme or did you customize it yourself? Either way stay up the excellent quality writing, it’s rare to look a great weblog like this one today..
Hey, I think your website might be having browser compatibility issues. When I look at your blog in Firefox, it looks fine but when opening in Internet Explorer, it has some overlapping. I just wanted to give you a quick heads up! Other then that, wonderful blog! Hi! Do you know if they make any plugins to assist with SEO? I’m trying to get my blog to rank for some targeted keywords but I’m not seeing very good gains. If you know of any please share. Kudos! Bekletilmek yok! Hesabınız hemen aktif! bu çok kolay ve hızlı bir işlem! I have observed that sensible real estate agents all over the place are getting set to FSBO Advertising. They are knowing that it’s not only placing a sign post in the front place. It’s really concerning building human relationships with these retailers who at some point will become consumers. So, if you give your time and effort to supporting these sellers go it alone — the “Law of Reciprocity” kicks in. Great blog post. where do i buy cbd? Have you ever thought about writing an ebook or guest authoring on other websites? I have a blog centered on the same information you discuss and would really like to have you share some stories/information. I know my audience would value your work. If you’re even remotely interested, feel free to send me an e mail. Thanks for your write-up on this website. From my own experience, many times softening way up a photograph may provide the photography with a bit of an artistic flare. Sometimes however, that soft blur isn’t just what you had as the primary goal and can usually spoil a normally good photograph, especially if you anticipate enlarging the item. hello there and thank you for your info – I have certainly picked up something new from right here. I did however expertise a few technical points using this site, as I experienced to reload the website a lot of times previous to I could get it to load properly. I had been wondering if your web hosting is OK? Not that I’m complaining, but sluggish loading instances times will sometimes affect your placement in google and could damage your quality score if advertising and marketing with Adwords. Anyway I am adding this RSS to my email and could look out for much more of your respective interesting content. Make sure you update this again very soon..
carries lots of valuable data, thanks for providing these information. Useful information. Fortunate me I discovered your website by accident, and I’m shocked why this twist of fate didn’t happened in advance! I bookmarked it. Woah! I’m really digging the template/theme of this blog. It’s simple, yet effective. A lot of times it’s very hard to get that “perfect balance” between usability and visual appearance. I must say that you’ve done a fantastic job with this. Also, the blog loads extremely quick for me on Opera. Excellent Blog! Fantastic goods from you, man. I have understand your stuff previous to and you are just too excellent. I really like what you’ve acquired here, really like what you’re saying and the way in which you say it. You make it entertaining and you still care for to keep it wise. I can not wait to read much more from you. This is really a wonderful web site. hi!,I really like your writing very much! proportion we be in contact extra approximately your post on AOL? Howdy! I just wish to give a huge thumbs up for the great data you may have here on this post. I will probably be coming back to your blog for more soon. Good day I am so grateful I found your blog page, I really found you by accident, while I was searching on Yahoo for something else, Nonetheless I am here now and would just like to say kudos for a tremendous post and a all round enjoyable blog (I also love the theme/design), I don’t have time to read through it all at the moment but I have saved it and also added in your RSS feeds, so when I have time I will be back to read a great deal more, Please do keep up the fantastic work. Hi, I do believe this is a great website. I stumbledupon it 😉 I am going to return yet again since i have bookmarked it. Money and freedom is the greatest way to change, may you be rich and continue to help other people. Hello there! I just would like to offer you a big thumbs up for the excellent info you have right here on this post. information much. I was looking for this particular information for a long time. Great site you have got here.. It’s hard to find quality writing like yours nowadays. to in fact get helpful facts regarding my study and knowledge. Terrific article! This is the kind of information that are meant to be shared around the web. Shame on the seek engines for no longer positioning this put up higher! Hello there, You’ve performed an excellent job. I’ll definitely digg it and in my opinion suggest to my friends. Oh my goodness! Awesome article dude! Many thanks, However I am experiencing dificulties with your RSS. I don’t know why I can’t subscribe tto it. Is there anybody else getting similar RSS problems? Anyone whoo knows the answer will you kkindly respond? not be a taboo subject but generally folks don’t discuss these topics. and I’m impressed! Extremely helpful info specially the last part 🙂 I care for such information a lot. then you will definitely obtain good experience. Greetings! This is my first visit tto your blog! a new initiative in a community inn the same niche. having a hard time making a decision bbetween BlogEngine/Wordpress/B2evolution and Drupal. getting off-topic buut I had to ask! to suggest you few attention-grabbing things or advice. type of information in such an ideal way of writing? Art Lovdrs | ILoveSoFla.com <Loved it! My family all the time say that I am wasting my time here at web, however I know I am getting familiarity every day by reading such pleasant articles. Pretty! This has been an incredibly wonderful post. Many thanmks for supplying these details. uup the good work! You recognize, lots oof people are looking aroundd for this information, you can aid them greatly. Arrt Lovers | ILoveSoFla.com <Loved it! Fantastic goods from you, man. I have understand your stuff previous to and you are just extremely fantastic. I actually like what you’ve acquired here, certainly like what you are stating and the way in which you say it. You make it entertaining and you still care for to keep it smart. I can’t wait to read far more from you. This is really a great site. You are so interesting! I do not suppose I’ve truly read something like that before. So nice to discover someone with a few original thoughts on this issue. Seriously.. many thanks for starting this up. This website is something that is needed on the internet, someone with some originality! What’s up to every one, the contents present att this wweb site are trulyy remarkable ffor people experience, well, keep up thhe good work fellows. almost moved to start my own blog (well, almost Miami Beach Loft-Style Condo Is Perfect Pied-A-Terre For Art Lovers | ILoveSoFla.com . Lovers | ILoveSoFla.com .HaHa!) Wonderful job Miami Beach Loft-Style Condo Is Perfect Pied-A-Terre For Art Lovers | ILoveSoFla.com . Is Perfect Pied-A-Terre For Art Lovers | ILoveSoFla.com . Excellent way of explaining, aand nice paragraph to obtain facts on the tolpic of my presentation focus, wnich i am going to present in university. Good point! Interesting article over here. It is pretty worth enough for me. Personally, if all webmasters and bloggers made good content as you did, the net will be a lot more useful than ever before. I couldn’t resist commenting. I ‘ve spent 3 hours looking for such infos. I’ll also share it with a couple of friends interested in it. I’ve just bookmarked this website. Now with the task done, I will visit some online gay cams. Gracias!!! Greetings from Phoenix! Thanks , I have recently been looking for information about this subject for a long time and yours is the greatest I’ve came upon till now. However, what about the conclusion? Are you positive about the supply? Wonderful article! That is the kind of informatioon that are supposed too be shared around the internet. What’s up, just wanted to tell you, I liked this blog post. It was helpful. Keep on posting! digg it and personally recommend tto my friends. I am sure they will bee benefited from this website. Heya i am for the primary time here. I came across this board and I in finding It truly helpful & it helped me out much. I am hoping to give one thing back and aid others like you aided me. out extra techniques on this regard, thanks forr sharing. Mega good! Interesting article over here. It is pretty worth enough for me. Personally, if all website owners and bloggers made good content as you did, the internet will be much more useful than ever before. I could not resist commenting. I’ve spent some time looking for such article. I’ll also share it with a couple of friends interested in it. I’ve just bookmarked this web. Finished with the task done, I going to enjoy some live gay webcams. Thank you very much!! Greetings from Orlando! Here are some links to web-sites that we link to mainly because we believe they may be really worth visiting. I appreciate you sharing this post.Much thanks again. Want more.